During the next few days interested parties may submit documentation pertaining allowing them to apply for financial aid, for the rehabilitation of properties located in the vicinity of the Camino de Santiago in Galicia, which has recently offered the Xunta de Galicia. The improvement program has a budget of 4 million euros for grants, especially the repair and reconstruction of houses in rural and historic area of the community. 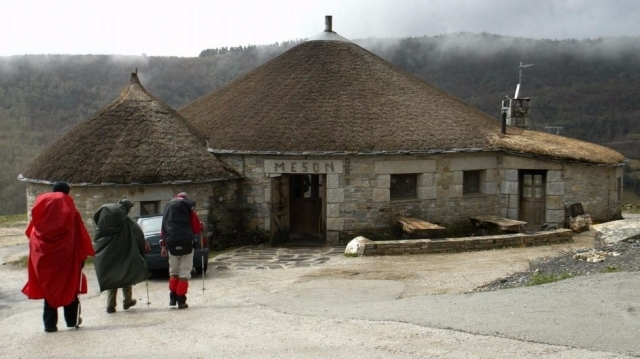 These 4 million euros in addition to the support of the regional government recently announced 3.2 million euros, aimed at comprehensive rehabilitation areas in homes in 107 municipalities of Galicia through which passes a pilgrimage route to Santiago. Thus, the government intends to promote and gradually improve routes and surroundings, with the target set in 2021, the next Jacobean Holy Year. Últimamente la Junta se está portando, espero que se reparta por todos los Caminos. Completamente de acuerdo contigo. Si ves el tour, en cada tramo de carrera hay un palacio, castillo o lo que sea 100% restaurado, y aquí a veces está todo tapado por las hierbas. Todo sea porque todos tengamos el mejor viaje del mundo !